This ultimate question is the question of all time. Why and how did Separation arise from Unity? How can "God" split itself up into so many little fragments and evolve? This can only be realized via meditation and deep, deep study and Grace. One of the most interesting descriptions of this process can be found in the enlightenment experiences of Harold Waldwin Perceval in Thinking and Destiny. As a truth seeker all his life, he was struck by the Light, so to speak, his late 20's or early 30's while walking downtown New York in board daylight! His descriptions of "God" as the Conscious Presence in all things led him to write this two volume book on the nature of Creation with highly detailed accounts of the meta-physics. Ultimately, one may say it is all illusion or Maya but this profound yet simplistic concept does not really provide much of an answer. We know the material world comes from one basic primal substance created billions of years ago and now has assumed "forms" like stone, plant, hummingbird and man or woman. All forms will return again to a basic unified condition when the Sun "burns" out. Is this analogous to spiritual creation also? But why and how does this happen?From mystical and esoteric sources, a basic overview exists: In our particular case, it was a combination of experiment and design. In the larger scale of things, the Supreme Being contains the Urge or Will to know Itself and turns its Attention (pre-existing Consciousness) within Itself. This Attention stimulates the vast and infinite nature of Being and activates Unconscious Spirit Substance (which is true nature of God in reality) . The Substance (far from any imagined state ) begins to form subtle differences within. It's not a "separation" but more like infinite sparks of fire jumping momentarily from a flame or points or waves of sound. Each wave/fire spark nuance is slightly different and is then set "apart" . Each "monad" is alive itself and thus begins the journey of cosmic creation. Eventually nearly an infinite number of spiritual centers of Being exist and then evolve through galactic and solar evolution becoming human like (not always physical) and then god-like and eventually more of a rarified grand cosmic Being. In our particular evolution, a Deity or Cosmic Intelligence (one of billions) within the Body or Womb of the Universal Being chose this area of Space and Substance to fulfill the Supreme Will or Desire to unfold Primal spirit essences. A general plan of evolution is Imagined with levels of Creational density to follow and always following orderly and precise organizing principles (to us, it appears mathematical and geometrical). Apparently, and on rare occasions, the "density" or slowing down of Substance to a material like state similar to ours. Sources say that the original intention was not to have us descend into a density of "substance" (as condensed as now exists) in our local solar system.. This was part of the "creative experiment" so to speak. The Angels and Upper Gods were frustrated at certain junctions in Time and foreign Beings were allowed to influence us for their and our long time benefit. This is Fall of Man. We were meant to be more like air beings with a body more like air/water than earth/water. The rest is history and we are still trying to resolve the misstep with the help of Christ and the Hosts of Heaven assisting Him. This is just one aspect to the Great Sacrifice- a God had to become Man and understand the full measure of our condition and come to know intimately how to transform the problems before us. And Heindel has a way of emphasizing the Catholic view of human life (he was not a Catholic as far as I know). Life is more than a veil of tears and suffering but to the "initiate" or saint, suffering throughout the world is overwhelming. Beneath the surface of each person and the across the human world is untold suffering within the unconscious soul nature of each of us. But we do not have to dwell on this but can create joy and positive experiences through our intention and attitude towards life and events. 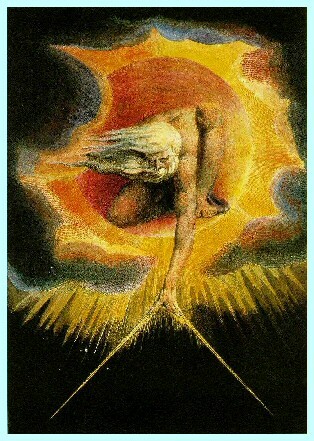 Another good source to explore the cosmic aspects of Creation is in Manly Hall's Lectures on Ancient Philosophy.